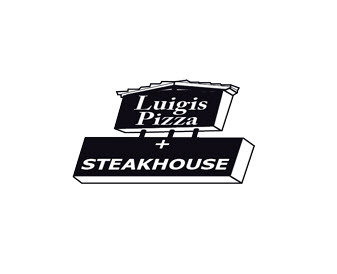 Luigi's Pizza & Steakhouse was established in 1974 and has been going strong ever since. Come and try our delicious array of Pizza, Pasta and mouth watering Steaks --and save room for dessert. Located in heart of one of Lethbridge's oldest neighborhoods, we are easy to find and have lots of parking. We look forward to seeing you! 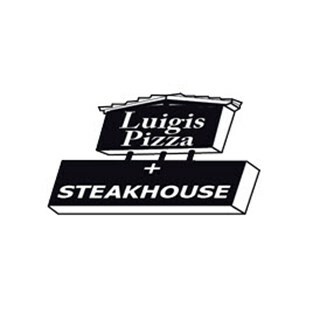 Luigi's North is a great place to eat and celebrate different occasions. Panous and his staff always go the extra mile and make sure that your dining experience creates memories. The perfect place for a casual meal or a small party as we did. We have and will continue to dine at Luigi's North for these reasons. Great job Cayley our server for the best party experience. Lots of customers, hence the noise level was elevated. Everything else was great!! My server provided excellent service. She's an awesome woman. She deserves a raise! We love coming to Luigis north with our granddaughters we appreciate the great service and food!! A real family feeling atmosphere!! Keep up the good work!! Service was excellent. We enjoyed the Valentines day dessert! Excellent food and staff! Never had an issue! Luigi's is always awesome. My husband took his boss from Calgary to Luigi's about a month ago, and thought it was fantastic. The staff were all great and even with how busy the restaurant was service never fell behind. Our waitress was super helpful and made sure we were all well taken care of. My husband very much enjoyed his 70th birthday celebration. Thanks for your help in making it happen. My family and I had a great dining experience! Love this restaurant!! The food is soooo good!!! The staff are very friendly and efficient. If you have a problem with your meal, they go out of their way to fix it and make sure you are happy. I highly recommend Luigi's to everyone!! Awesome food. Great, very friendly service from everyone. Jessica is a fantastic host! Note if you are booking the back room the 15% gratuity is mandatory. Make your guests aware beforehand. Also, FYI there is a $10 plus tax fee on bringing in your own cake. I thought it was worth it for what was a great 50th bday party celebration. The restaurant was extremely busy so we had to wait a long time as we were told you were short staffed as well. My sirloin steak seemed over seasoned but was tender. Salads were pretty tired looking. Still our favourite place to eat and celebrate special occasions! We always recommend it to other people. Having a small number of people makes it difficult to book a venue for Christmas parties. Loved the festive energy in the room upstairs; the decorations, music, it was a wonderful holiday venue. The service was great and we knew we couldn't go wrong with the food. Thank you so much!!! Would definitely book here again. We were in on New Years Eve. It was busy but the service was quick and attentive. The food was amazing as always. A little expensive but you get your money's worth. Tables are cramped though so I would suggest requesting a booth.